We are a one-stop shop for your fire protection needs. We design, install, repair and inspect fire sprinklers, fire alarms and fire suppression systems. We also inspect hydrants, pumps and backflow preventers. We are family owned and operated and have been in the Massachusetts area taking care of our customers and keeping facilities up to code. Whether it is a large construction project spanning several years or an emergency service call, we are there for you. In 2014, after working in the Fire Sprinkler industry for 15+ years, Felipe Rabelo took a leap of faith and started Tristar Fire Protection. He had a vision and from that vision he built a business based on quality work, honesty, integrity, faith and most importantly, family. 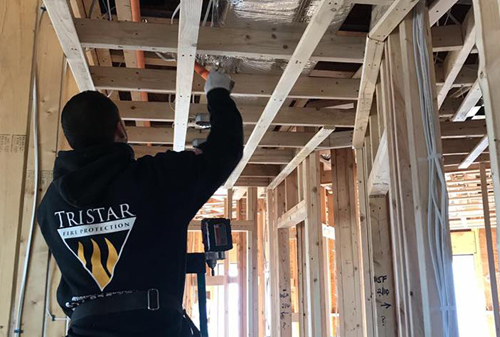 These values, along with the strong customer service and business relationships Felipe built through the years, allowed Tristar Fire to grow from its very humble beginnings to the larger thriving business it is today. 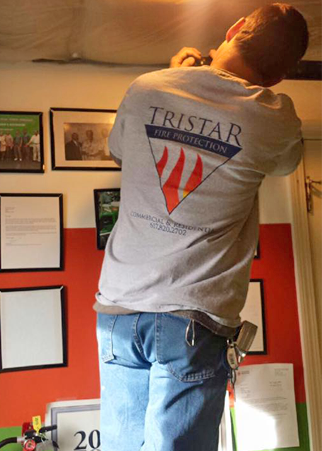 Tristar Fire Protection Company Inc . is all about saving lives and protecting property, which we take very seriously. We also like to save you money. We control all aspects of each project from start to finish, from design to fabrication, installation and maintenance, saving you time, money and aggravation. Our company uses the latest technologies in fire protection systems and we stay informed of the latest fire safety codes. We do respond quickly and efficiently to your needs. Our reputation reflects that we are extremely experienced and professional in all areas. 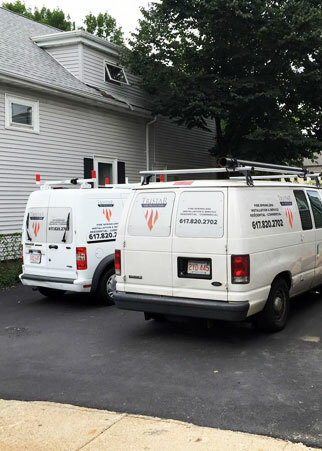 For more information regarding our services or any other question, please email us at info@tristarfireprotection.com or give us a call: (617) 820-2702.